School meals at Christ's School are provided by Caterlink. The menu changes each term and operates on a three weekly rotation. 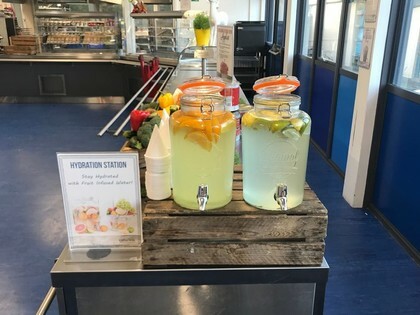 90% of all the ingredients used are fresh to ensure students have the opportunity to get a significant proportion of their daily nutritional intake from their School Meal. 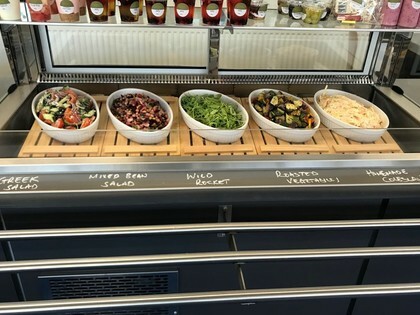 The daily menu consists of one main course, a vegetarian option, jacket potatoes with fillings, pasta with sauces and of course salads. Homemade Rolls, Sandwiches and Filled Baguettes are made fresh everyday. There is also a range of hot and cold desserts to choose from. Over the course of the year Caterlink run a number of ‘Special Days’ and ‘Seasonal Menus’. The Kitchen is led by the Catering Manager Elaine. To provide feedback or suggestions please email Mr Steele. Details of the menus and tariffs can be found below.